I was happy I chose it. How cute is the packaging?! I think (and so does one other person I know) it looks good enough to cost up to 500 bucks. It's 100% natural and safe, relaxes and soothes eyes, and also helps in growth of eyelashes Made with botanical extracts of camphor, liquorice and almond oil. I normally wouldn't apply it this thick, but I just wanted to show its intensity. Is it really smudge-proof? Not really. But kajals are meant to be soft and smudge-y. I always apply a good amount of loose powder around the eyes to prevent the raccoon-eyed look. It does feel gentler on my eyes and they sting less, which is why i wear it to bed and clean it all off in the morning. I'm guessing they'll be same, but it's good to be sure. Thanks! yeah it is a nice kajal. I have never tried Shehnaz Hussain stuff so I'm looking forward to the comparison. Great review! I've never tried such a kajal before. It looks quite hard to apply, but then, I'm such an amateur! Ha ha! Thanks...when it comes to kajal, believe me, I'm an amateur too..lol..
can u recommend a good fairness cream for oly skin that can be used is summer also, and has uva & uvb sunscreens? I also like the Flawless White lotion that comes in the long bottle n serum. U can check out review of Pond's Flawless White here http://delhisbeautyaddict.blogspot.com/2009/09/ponds-flawless-white-review.html. Feel free to let me know if u need any other recs. which one would you recommend neutrogena fine fairness cream or fair and lovely multivitamin? You're welcome Sara. I haven't tried N's Fine Fairness so I can't really tell u if it's the one u should pick. But I'm planning to try it myself soon coz it has ingredients that sound really effective :). On the other hand, the thing I like about F&L is it mattifies my oily skin n makes my skin look great esp in the hot summers when foundation can get messy and not to mention it's cheap too. But if ur on the darker side then it can leave a whitish cast on yr face which is not pretty. I'd personally go with N Fine Fairness if it's non-oily. nice blogs.Ayurveda cosmetics is the best cosmetics in all.kany people preffer ayurveda cosmetics no side efffect no chemical included and 100%pure and safe. 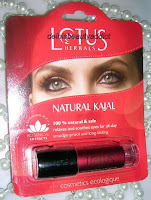 hii there.. i would like to know where i can buy this product, Lotus kajal from..? 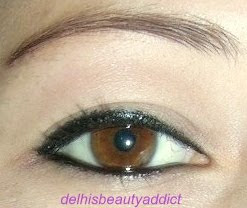 I love your eyes Cynthia..I have always used Lakme Kajal but after reading your review, I really want to try Lotus. 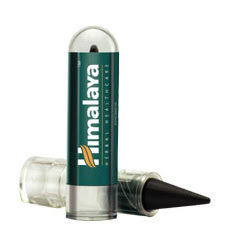 I have never used such kajals before and only pencil ones..Do these kajals, the one like Lotus, himalaya need to be sharpened..I am wondering..i am quite an amateur when it comes to using and applying makeup..just a lipgloss and kajal for me..lol..
does this kajal smudge after 2 -3 hour of application ??? Himaraya kajal is also good for eyes. If you can get, Let's try. Tks a lot. ive bought the lotus kajal too n i sure do like it,but since u cannot sharpen it,it lays out thick instead o a neat thin line i usually prefer.is dere anything i can do to keep it sharp after a few uses? excellent review. Very nicely written, and communicates the product benefits nicely.